iPhone 5 entering production soon? iPone 5... or iPhone 6? The iPhone 5 may be about to go into production over in China after it was revealed that Foxconn is recruiting more staff to work specially on the new handset. A local news station in China has reported that the Foxconn factory, which makes the majority of Apple products, is "urgently" hiring 20,000 workers so it can start the production of the iPhone 5. The same factory is currently experiencing worker strikes and the new recruitment drive may be a way to bring in a wave of new staff ahead of its important iPhone 5 production. Although we're dubbing it the iPhone 5, the next iPhone will actually be the sixth iteration of the popular handset – leading us to think we could see another 'new iPad' style name change – because Apple is just that darn unpredictable. After the anti-climax of the iPhone 4S release last year, we're expecting big things from the next iPhone, as Apple needs to step up its game to tackle the incoming HTC One X, LG Optimus 4X HD and Samsung Galaxy S3. 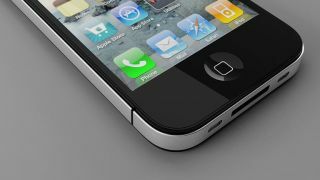 We expect to see the iPhone 5 release date set for this later this year, in line with Apple's new annual product cycle.